Windows Phone 7.8 more than a new Start screen? Microsoft solicits user requests for new update. While all eyes are focused on Windows Phone 8, for many in our audience, the 7.8 update is just as important because due to contracts and the world recession, simply buying a new $500 phone is not an option this year. 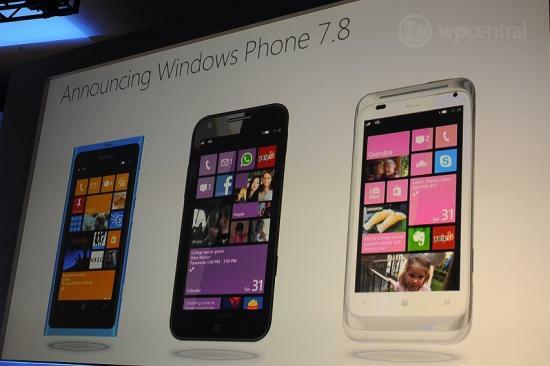 We’ve repeated ad nauseam that the 7.8 update won’t come until well after Windows Phone 8 hits the streets. In fact, on our podcast we’ve put for the idea that 7.8 was a last minute decision by Microsoft. That notion is now gaining ground as Microsoft is soliciting user feedback on what features they want most in the 7.8 update. That should tell you that 7.8 is far from complete at this point as they still haven’t locked in new features. That’s the bad news as it means 7.8 could still be months away. The good news is that they want to know what you want and there’s a good chance we may get more than a new Start screen. “As you know, Windows Phone 8 is a generational shift in technology, which means that it will not run on existing hardware. That should certainly make users feel a little bit better that 7.8 will have more than just one-new-feature on board. The question next is, what do you want from 8 that they can add to 7.8? Head over to the User Voice Forums to vote (and maybe suggest our poll as evidence?). Likewise, it’s interesting to see Microsoft going through and respond to earlier requests, like this one from Lippidp on over-the-air (OTA) updates in Windows Phone 8. While we know that feature is coming, Microsoft is evidently going through and checking those features off as “Planned”. We’ve said it before and we’ll say it again—we really like this receptive Microsoft who truly cares what their audience wants from the OS. In turn, they will make the best mobile OS there is because it’s driven by user demands.